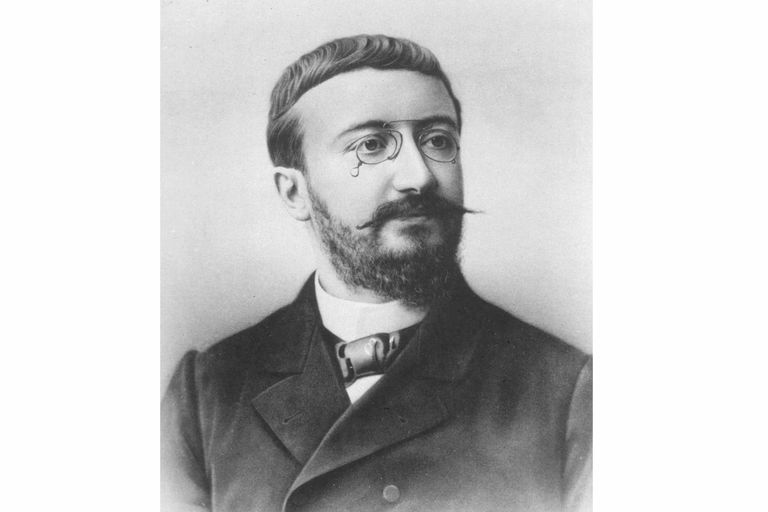 Alfred Binet was a French psychologist best-remembered for developing the first widely used intelligence test. The test originated after the French government commissioned Binet to develop an instrument that could identify school kids that needed remedial studies. With his collaborator Theodore Simon, they created the Binet-Simon Intelligence Scale. Lewis Terman later revised the scale and standardized the test with subjects drawn from an American sample and the test became known as the Stanford-Binet Intelligence Scales. The test is still in use today and remains one of the most widely used intelligence tests. Alfred Binet was born Alfredo Binetti on July 8, 1857,​ in Nice, France. His father, a physician, and his mother, an artist, divorced when he was young and Binet then moved to Paris with his mother. After graduating from law school in 1878, Binet initially planned to follow in his father's footsteps and enroll in medical school. He began to study science at Sorbonne but soon began educating himself in psychology by reading works by individuals such as Charles Darwin and John Stuart Mill. Binet began working at the Salpêtrière Hospital in Paris under the guidance of John-Martin Charcot. Afterward, he moved to a position at the Laboratory of Experimental Psychology where he was the associate director and researcher. In 1894, Binet was appointed the director of the lab and he remained in this position until his death in 1911. Binet's early support of Charcot's research on hypnotism resulted in professional embarrassment when Charcot's ideas faltered under closer scientific evaluation. He soon turned his interest toward the study of development and intelligence, often basing his research on observations of his two daughters. While Alfred Binet's interests were broad and quite diverse, he is most famously known for his work on the topic of intelligence. Binet was asked by the French government to develop a test to identify students with learning disabilities or who required special help in school. Binet and colleague Theodore Simon developed a series of tests designed to assess mental abilities. Rather than focus on learned information such as math and reading, Binet instead concentrated on other mental abilities such as attention and memory. The scale they developed became known as the Binet-Simon Intelligence Scale. The test was later revised by psychologist Lewis Terman and became known as the Stanford-Binet. While Binet's original intent was to use the test to identify children who needed additional academic assistance, the test soon became a means to identify those deemed "feeble-minded" by the eugenics movement. Eugenics was the belief that the human population could be genetically improved by controlling who was allowed to have children. By doing this, the eugenicists believed they could produce more desirable inherited characteristics. This shift in how the test was used in notable since Binet himself believed that the intelligence test he had designed had limitations. He believed that intelligence was complex and could not be fully captured by a single quantitative measure. He also believed that intelligence was not fixed. Perhaps most importantly, Binet also felt that such measures of intelligence were not always generalizable and could only apply to children with similar backgrounds and experiences. Today, Alfred Binet is often cited as one of the most influential psychologists in history. While his intelligence scale serves as the basis for modern intelligence tests, Binet himself did not believe that his test measured a permanent or inborn degree of intelligence. According to Binet, an individual's score can vary. He also suggested that factors such as motivation and other variables can play a role in test scores. Binet, A. (1916). New methods for the diagnosis of the intellectual level of subnormals. In E. S. Kite (Trans. ), The development of intelligence in children. Vineland, NJ: Publications of the Training School at Vineland. (Originally published 1905 in L'Année Psychologique, 12, 191-244.). Binet. A., & Simon, T. (1916). The development of intelligence in children. Baltimore, Williams & Wilkins. (Reprinted 1973, New York: Arno Press; 1983, Salem, NH: Ayer Company). Fancher, RE & Rutherford, A. Pioneers of Psychology. New York: W.W. Norton; 2016. Fancher, RE. Alfred Binet. Portraits of Pioneers in Psychology, Volume 3. GA Kimble & M Wertheimer (Eds.). Washington DC: Psychology Press; 2014. How Does the Weschsler Adult Intelligence Scale Measure Intelligence? Who Are Some of the More Famous Psychologists? How Are IQ Scores Interpreted? What Is Considered a Low IQ Score and What Does It Mean? Is Your IQ Score Above Average? What Is the Minnesota Multiphasic Personality Inventory (MMPI)?